As many of you know, one of my fave places is Anthropologie not just because of the clothes but also because the stores themselves are gorgeous and full of very creative installations. Now, I have to go because I'm going on a fun trip to Homestead which is about 1 hr South of Miami... bringing my camera with me!!! What time is it? Time to go back to bed? Have a lovely almost weekend! I love that bookcase and oh my goodness what a sweet idea for the duvets. Sigh. I love that store! I've said it before and I'll say it again: I want to LIVE inside an Anthropologie!!! Love! Love the olive oil bottles. 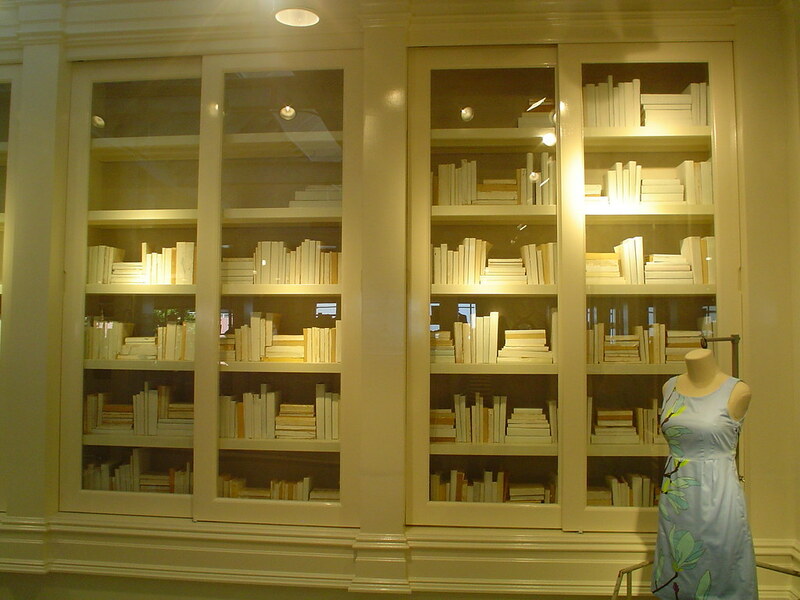 Anthropologie does have the best styling, unforunately they are not in Paris yet. Have fun! I just went to the Anthro by me today. Amazing as always. And I just love how each one is different. The one you went to -- I love those displays. Definitely agree with you about the dress against the background. Oooh, it's all so tempting, isn't it? Royal wishes and have a great weekend! Those olive oil bottles are sooooo lovely! 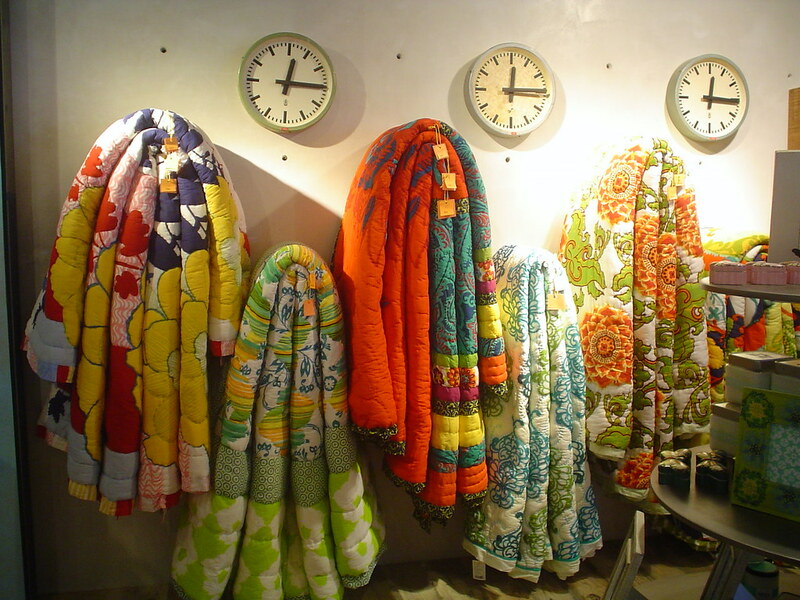 I want to grab all those quilts and wrap myself up in them. Great photos!! 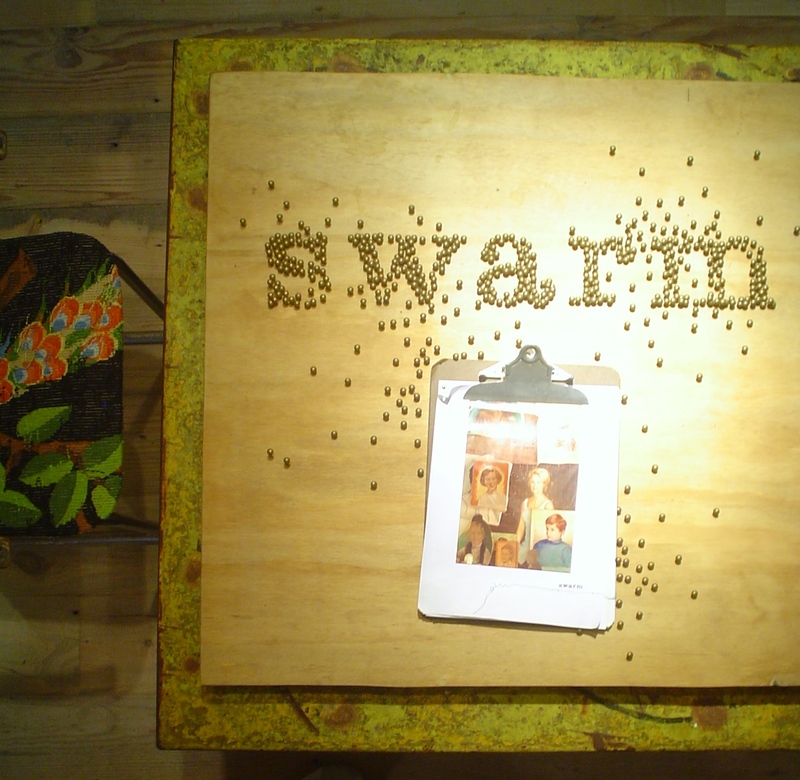 Love the coffee table decoration. And those olive oil bottles are from Anthropologie ~ I'm dying for them. 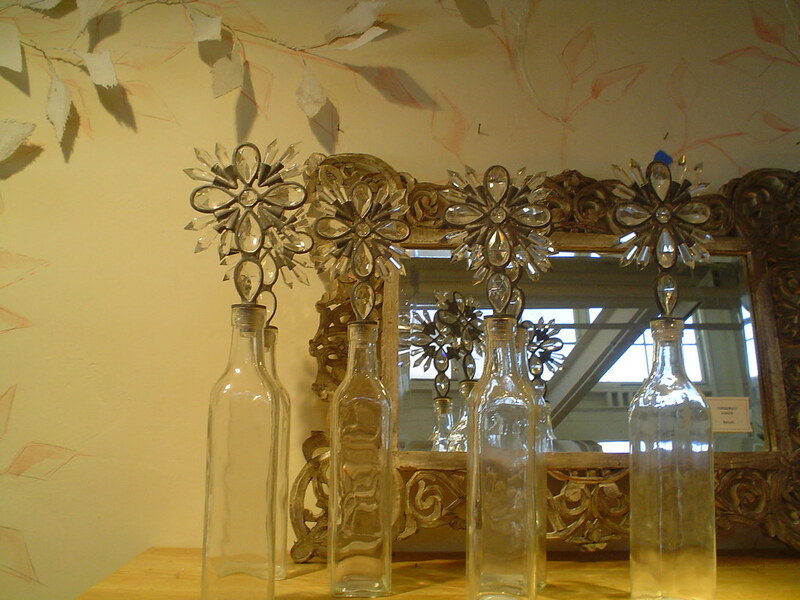 Some fab friends in a fab house used pretty bottles like that in bathrooms with mouthwash. Tres chic! love (love) Anthropologie; but have never been so bold as to take my camera in there and take photos; usually I hang it to my side and get blurry photos. enjoyed my visit tonight! This post reminds me it's been too long since I've visited this AMAZING store. I adore Anthro! Great pics. Yes! I couldn't agree more....Anthropologie always has some of the most innovative window displays and in-store installations. My sister-in-law and I had a little photo op session in our local store not too long ago. I love Anthropologie (minus the steep prices), I would wear or decorate with just about anything in that store! I LOVE the first picture. Those quilts are amazing. It's just so amazing! I mean, i feel the same way. i love the clothes, but i get distracted by the decor too! I love Anthropologie more than words can describe. Everything from there is just too gorgeous. At my local Anthropologie they had an installation of a peacock made entirely of folded newspaper -- so cool.